These perfectly red and green cookies will brighten anyone’s day. Whether your loved one is gluten-free, vegan, or a cookie addict, this is sure to become a favorite recipe. 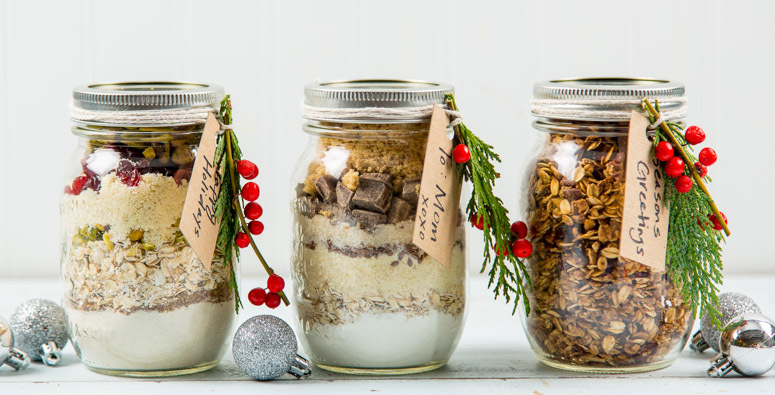 Assemble the dry ingredients in a mason jar, tie on the recipe with twine and a perfect holiday mason jar gift is made. Combine bananas, peanut butter, oil and maple syrup and mix well. Drop cookies by the spoonful onto cookie sheet. Bake 15-17 minutes or until slightly browned.